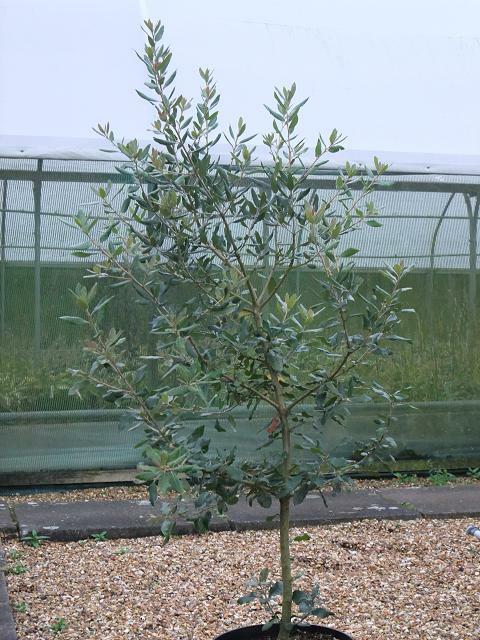 Quercus ilex, also known as evergreen oak or holm oak. 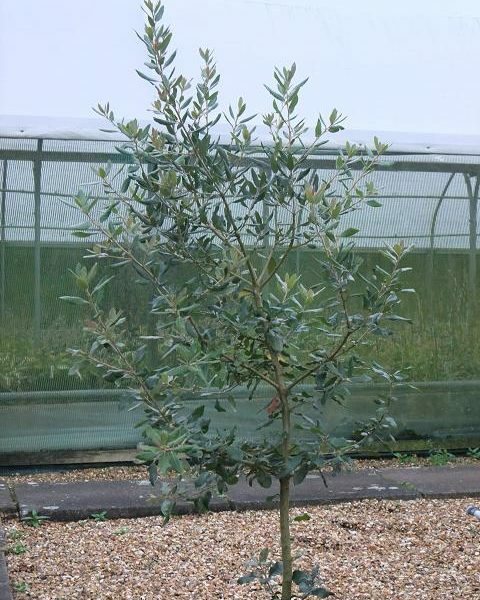 Quercus ilex, also known as evergreen oak or holm oak. Another unuaual but effective choice. 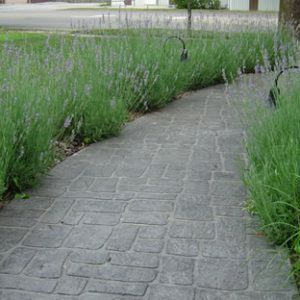 Quite quickly forms a dense barrier of of small (3-5cm) evergreen leaves. Ideal for a hedge 2 to 4m high. Seems to be pretty tough and will take most situations. Plant shoen here is about 1.2m high in a 10 litre pot. Looks a bit like a young olive tree at this stage, but soon fills out! !